Influencer and brand ambassador marketing used to be an untapped land of opportunity. Now, everyone is looking for the best ambassadors — a subset of influencers sought-after for their authentic voices and true brand loyalty. But higher demand means brands have to work harder to differentiate their campaigns. Google searches for influencer marketing have skyrocketed over the past year. At the same time, dollars directed at television ads are moving toward digital ads. Because of these trends, MediaKix estimates that total influencer marketing spend will grow to $5 billion-$10 billion by 2020, with the Instagram market alone set to hit $2 billion by 2019. For marketers looking to tap into the brand ambassador subset of influencer marketing, these numbers indicate that simply having an ambassador program is no longer enough differentiation. Brands have to use ambassadors and understand what their customers love in order to deliver content that reinforces those positive feelings. A smart ambassador strategy drives new sales, boosts customer loyalty and increases word-of-mouth sharing. But without authentic differentiation, marketers will not see the results they crave. Off-the-shelf enterprise ambassador programs usually won’t resonate with Millennials or Generation Zers. They waste the time of marketers, ambassadors and consumers, often throwing away dollars and time that would be better spent on more finely tuned strategies. Companies like theSkimm and Lululemon achieved incredible growth with differentiated ambassador programs. But they didn’t get everything right on the first try. They were continually refining and tweaking their approaches, testing new ideas, and asking advocates questions until they landed on a brand message their loyalists loved most. Lululemon now operates in an industry environment where other athleisure brands have established their own ambassador programs. To stay ahead, Lululemon is complementing its successful ambassador program with some traditional media spend — a smart way to keep ambassadors at the center of the brand while executing a more holistic marketing strategy. These companies have access to direct consumer insights that strengthen their brand voices thanks to their strong ambassador programs. Ambassador programs allow brand managers to get direct feedback from their customers. By reading captions, comments and dialogue around the product, marketers get much clearer pictures of the true value of their brands. Differentiated brands use these insights to strengthen their grip on the market. Ambassadors who advocate for differentiated brands spread word-of-mouth marketing into all aspects of their lives and end up creating more ambassadors in the process. It can be easy to feel frustrated when an ambassador program isn’t producing the desired results right away, but ambassador marketing is a long game. The key is to nurture it over time. Follow these tips to stand out from the crowd with an ambassador program that drives measurable and sustainable growth. 1. Let top ambassadors identify your uniqueness. Interview passionate ambassadors and identify what they think is unique about the brand. Ask, “What about our brand do you love most?” Contact early adopters via social media, email, and phone if possible. Heather Chilcot, who owns Core Cycle Studios in Maryland, didn’t try to achieve massive growth with ambassadors from the outset. Instead, she invited potential ambassadors, including bloggers in her space, to try out the facilities and sample some local brands. Rather than stopping there, Chilcot continued to engage and include her ambassadors — she even let one handle the company’s social media for a day. As a result, the company has achieved high levels of growth without high levels of spending, and brand ambassadors continue to rave. Differentiation relies on authenticity, which begins with real engagement of the brand’s fans and letting them pinpoint the brand’s unique value. Even if the company’s selling point isn’t unique, the passion of the fans who say “This company gets it!” is enough to stand out. After first discovering what ambassadors love about the brand, you can then better incentivize them. The program is on the right track when performance improves and ambassadors are motivated to spread the word. The Australian beauty product brand Frank Body, for example, asked its customers to share photos of themselves while covered in the brand’s coffee grounds-based body scrub. The campaign has been a surprising success. Young audiences love the fun factor and the chance to get their Instagram photos — hashtagged with #thefrankeffect or #letsbefrank — shared on the brand’s own account. The brand has boosted itself into a $20 million global brand using the non-monetary ambassador incentive of simple recognition. Don’t guess what ambassadors might want. Ask them, “What are your ideas about incentives we could provide to you as our brand ambassador?” Most people enjoy referral bonuses, free products, and recognition. Be creative — there are hundreds of ways to get ambassadors excited about your brand. 3. Build a team narrative. Help ambassadors feel like part of a special team. 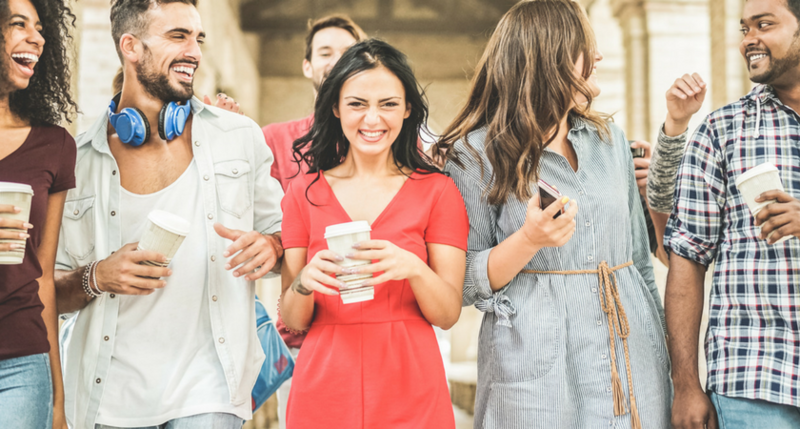 Connect ambassadors to the brand and one another in ways that make them feel like their membership is a positive reflection of their personalities. Giving ambassadors VIP status and encouraging them to create content for brands they believed in helped them feel connected to those brands and like they were working as part of an important team. That’s a win-win for all parties. 4. Keep the message consistent. Remember that your brand is not the only part of an ambassador’s life. These people have families, hobbies and occupations that take up most of their time. Maximize the brand’s presence by keeping the company message and value offering simple and consistent. Listen to ambassadors, but don’t let new trends in feedback create radical messaging shifts every time. Identify the core components of what ambassadors love, stick to those, and then gradually make necessary changes. The more people hear a message that they like, the stronger their connections to the brand will be. Differentiation in ambassador programs relies on a positive connection between ambassadors and the brand. Follow these tips to listen to ambassador feedback, design the perfect campaign, and deliver messaging that inspires advocates to tell the world what makes this brand better than any other.